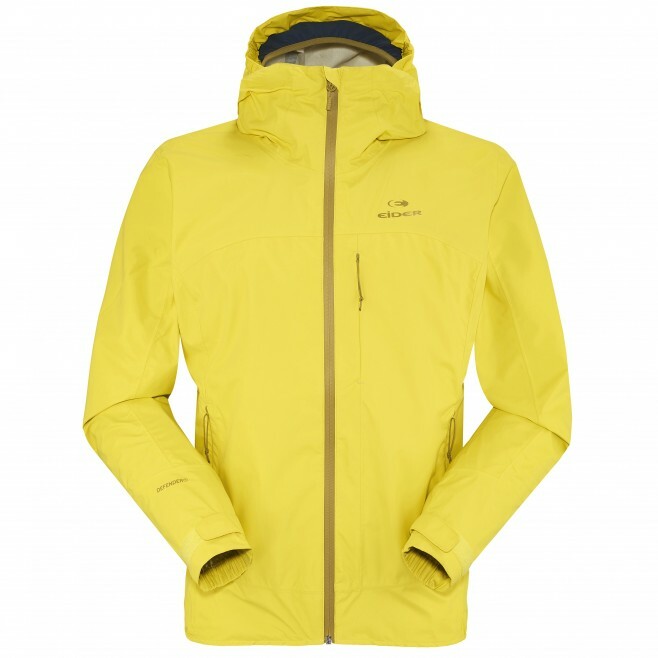 """Ultra-breathable with a minimalist feature set, the Bright Jacket is ideal for highly aerobic outdoor adventures and warm or humid climates. In warm or humid climates, the breathability of a shell is as important as its waterproofness. Enter the Bright Jacket, featuring 30k/30k 2.5L Defender for comfortable protection against nasty weather, and a feature-set designed in a minimalist spirit. The end result is a harmonious balance between performance and purpose. >Hand and chest pockets with invisible zippers. Lined with mesh to improve moisture transfer. >DEFENDER HIGH AIR EXCHANGE // Waterproofness 30 000 mm - Breathability 30 000 g/m/24h // 100% POLYESTER"